Curt Cruthirds (Santa Barbara, CA) on 2019-03-09 08:26:39. 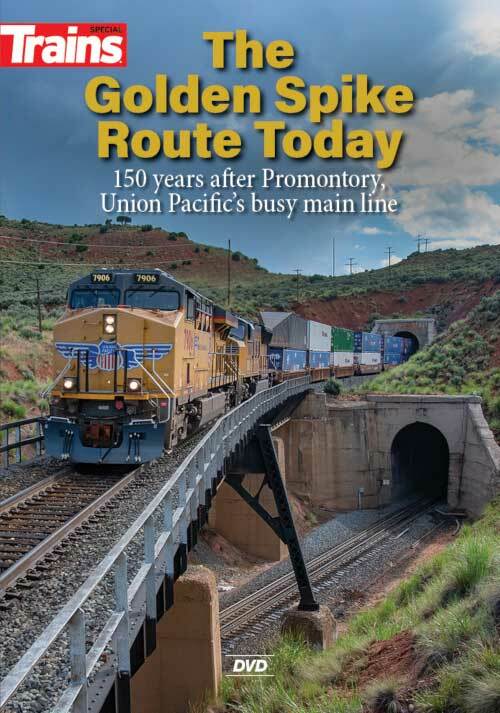 This release provided a good historical overview of Union Pacific's transcontinental line. Featured is a lot of good-quality vintage footage, which nicely supplements the current power and trains of the U.P. Beginning in Nebraska, the disc covers Bailey Yard, the Cheyenne/Sherman Hill area (which, I personally, would have liked to see more footage), the Wasatch/Ogden area, various areas in Nevada, and Donner Pass/Sacramento area. A nice amount of time was spent in Donner Pass; not only showing trains battling the rugged grade, but also the building of the line through the granite cliffs. A good-level of interesting historical information, and nice video-quality, made this an enjoyable experience. Overall, I was definitely pleased with the purchase.